Hiring a roofing contractor is something that isn’t done often. In fact, roofing systems today are designed to last for as much as 40 years so hiring a roofing contractor for your roof installation on your home isn’t something that happens every few years. Since it’s not common to hire a roofing contractor for your home it’s also something that many home owners make a mistake on. They hire the wrong roofing contractor and don’t realize just how much it will cost them. 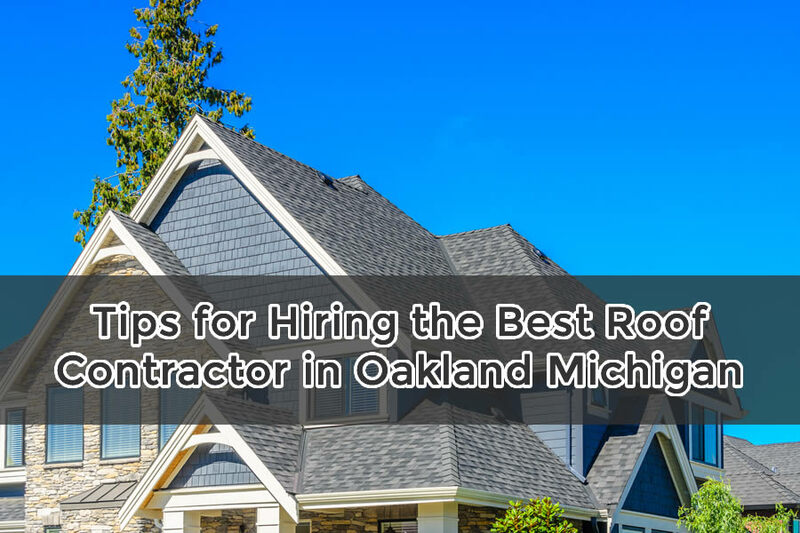 In order to better choose a roofing contractor that is trustworthy and does a great job then you’ll want to look over the following tips for hiring a roof contractor in Oakland County MI. The roof on your home is always under attack of the weather. And not only the weather but the age of your roof also has an influence on whether it holds up or not. As the roof gets older it may start to take on more damage due to lower rigidity. 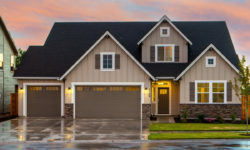 When you need a roof replacement to make sure the roof still protects your home or even a roof repair done on your home you’ll always want to follow the following tips to ensure you get your roof back in working order as quickly as possible without damage to the interior of your home. There are many different roofing companies in Oakland County Michigan but you’ll want to hire a roofing contractor who has experience with your type of roofing system. You certainly don’t anyone to experiment and learn how to install roofing using your home as the project. Having a roofing contractor with proper experience is a must and can usually notice problems long before they become an issue with solutions and advice on the job. Past customers are the best people to ask about the roofing company that you want to use. They have first hand knowledge of how the customer service and pricing goes. You can check online reviews of many different companies at places like Yelp, Google, and Facebook. Past customers usually leave reviews about what they liked and disliked about the roofing contractor. Read the online reviews about the company to learn more about them and just how they treat their customers. You’ll also notice how many reviews which can really help you determine just how experienced that particular roofer is. Most roofing contractors will have a portfolio of past projects that they have completed. Some will even have references that you can call and talk with these customers about the project. Be sure to ask about these references and give them a call to learn more about the roofing contractor. You can ask questions about their customer service, how the project went, and much more to get better insight into how the company works. Many of the major roofing contractors have their own endorsements for roofing contractors. For instance, GAF has the Master Elite Roofer endorsement. Roofing contractors are usually required to provide training information or pass some sort of test to receive these endorsements. So if a roofing contractor has any of these endorsements or qualifications they will certainly share them with you. Having a roofing contractor who holds many endorsements especially in the particular roofing material you want to use can be great. When you hire a contractor for your home for any reason they should be properly licensed and insured. Most cut rate roof contractors will offer very cheap prices but they may not be properly licensed to even complete the project. 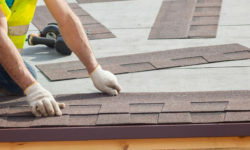 This can lead to all sorts of problems, not only from a liability standpoint if an accident happens, but also because the warranty on your roof may not be honored if the roofing contractor isn’t properly licensed. Always use a properly licensed and insured contractor on any of your roofing projects for best results. Do you need roof repairs or roof replacement in Oakland County Michigan? Be sure to call one of the best roof contractors in Oakland County Michigan, Twelve Oaks Roofing at 248-525-6950. They offer free consultations on roofing projects in the Oakland County Michigan area. NextWindow Replacement in Michigan: Is It Time to Replace the Windows in Your MI Home?